Has everyone seen the TV series Diary of a Foodie? If not, you should look for it. It was (is?) a travel food show where we were taken to exotic locales and introduced to the ingredients and methods of unfamiliar cuisines. It was presented by PBS in the United States. It's one more reason that funding for Public Broadcasting in the US should be supported… If you don't know, a bill was passed last week to axe ALL funding to PBS by the new Republican Congress. The bill is now before the Senate, which is Democrat controlled. Fingers crossed. US Federal funding amounts to only 10% of their total, but would you like to have 10% of your earnings taken away? I say "was" a travel food show because it was a by-product of the now defunct Gourmet Magazine, published by Condé Nast. Part way through the current "recession" they had to make a choice between keeping Gourmet or Bon Appétit. They kept Bon Appétit. A shame to lose Gourmet, but what do you do? 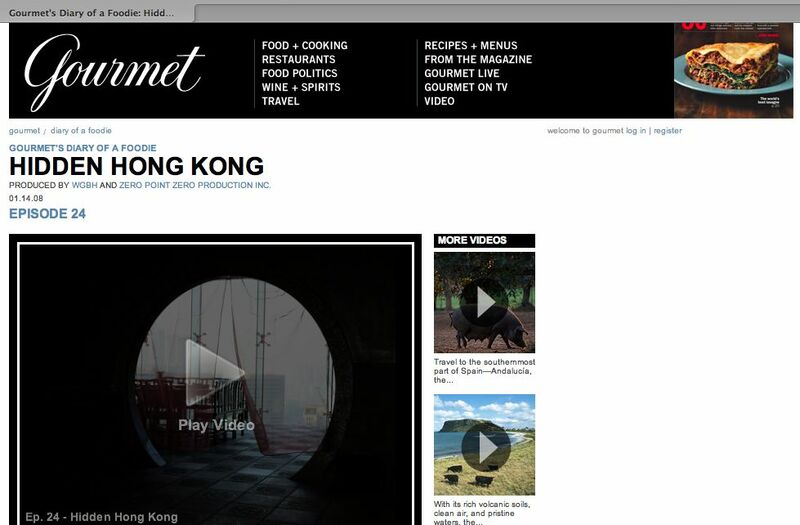 Luckily, the Gourmet.com website is still up, as are ALL of the episode—in their entirety— of Diary of a Foodie. There are three seasons, but I'm not sure if there will be a fourth. All the episodes are fantastic, but one in particular made me change my buying habits for one common ingredient – Soy Sauce. Soy sauce is a condiment widely used in Asian cuisine. It has a strong salty taste, and is used to contribute flavor to a wide variety of foods. 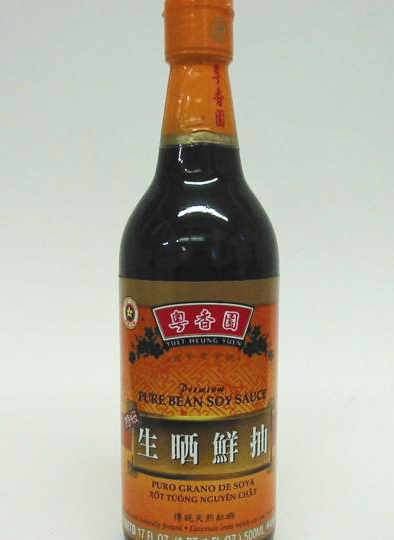 Soy sauce is believed to have originated in China, and to have later spread to Japan and other areas in Asia. Use of soy sauce has since spread beyond Asia, and is even featured as an ingredient in western dishes and condiments, such as Worcestershire sauce. Though recipes for soy sauce differ among regional producers, the primary ingredients are soybeans, roasted grain, salt, and water. The soybeans are steamed and mixed with ground roasted wheat. Yeast, or koji is usually added to the wheat-soy mixture, and then combined with water and salt to form the liquid, moromi. Once the moromi is formed, the culturing process begins. 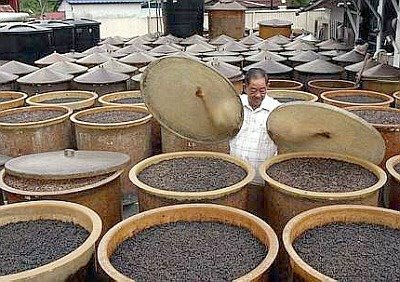 The moromi is allowed to ferment for a time, and is then pressed to separate the liquid from the solid constituents. The remaining liquid is then heat-sterilized and inspected for quality. If the liquid, now soy sauce, is of acceptable quality, it is bottled and shipped. 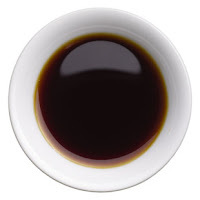 As is the case for many traditional foods, advances in production technology and widespread demand for exportation of goods has affected traditional methods of making soy sauce. The fermentation process, which is essential to creating the unique flavor of soy sauce, was traditionally carried out by placing the moromi in large urns, and allowing the sun to do the work. Due to demands for mass production, this method is often replaced with machine-controlled fermentation. 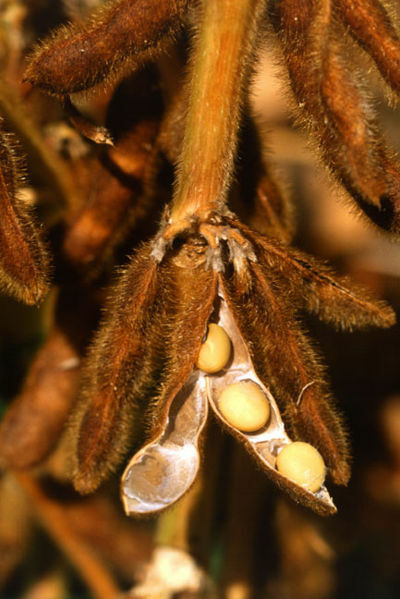 In addition, new methods of producing soy sauce have brought about the need for additives. For example, soy protein is often used in place of whole soybeans, which yields a moromi lacking in color and flavor. In this case, caramel coloring and artificial flavoring must be added to bring the bland sauce up to speed with its authentic cousin. Regional recipes for soy sauce include added ingredients to alter the taste, color, and consistency of soy sauce. In some Chinese soy sauces, for example, molasses is added to lend a thicker, sweeter quality to the sauce. Indonesian soy sauces, in comparison, are given different names according to whether they are salty or sweet. Kecap manis is an Indonesian soy sauce with a pronounced sweet flavor, whereas Kecap asin is saltier, and similar to Chinese soy sauce. Other distinct flavors emerge in Hawaiian, Taiwanese, and Korean soy sauce. Ever since watching the Foodie episode, I have been purchasing YHY Pure Bean Soy. It's just a little more cost than other brands, but the difference in taste is noticeable (and it's guaranteed free of melamine…). Melamine is sometimes illegally used as a food additive to increase the apparent protein content. The Canada Food Inspection Agency had been examining products entering Canada since 2008 but, and I qoute the CFIA site: "Due to the high rate of compliance in the food samples tested, the border lookout requirement for food products was removed on February 16th, 2009." Hmmm… OK…. YHY Soy Sauce Factory was established 100 years ago in Hong Kong. Although YHY persist in traditional production, it meets international standard such as ISO 9001, ISO14000, HACCP. YHY is also a recipient of the "Excellent Brand" award by the Oriental Food Association. YHY voluntarily took a series of exams on all ingredients to make sure all were melamine contamination free. The results were all negative. YHY leads to its competitors in public health and safety. I purchase it at the local Asian grocery. Here's a recipe that showcases the flavors of real brewed soy sauce. I can only dream what artisanal outdoor vat brewed soy sauce would be like. Wash and pat dry the chicken wings. Marinate the chicken wings with the soy, ginger, salt and pepper flakes (if using) for 1 hour on the counter. Remove from marinade, place in a bag with the cornstarch and shake to coat. This helps give a bit of crust to the wings and minimizes frying splatter. Heat the oil in the wok until a water drop sizzles. Reduce heat slightly before adding chicken wings. The object is to keep the oil hot enough to fry while not burning your house down. Alternatively you can use a deep fryer. The oil will be flavored and won't be able to be used for any other frying. So either keep it for soy wings only or dispose. 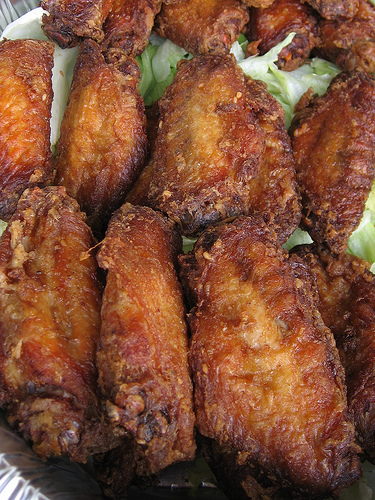 Shallow fry the chicken wings in batches at medium heat until both sides are golden brown and cooked.